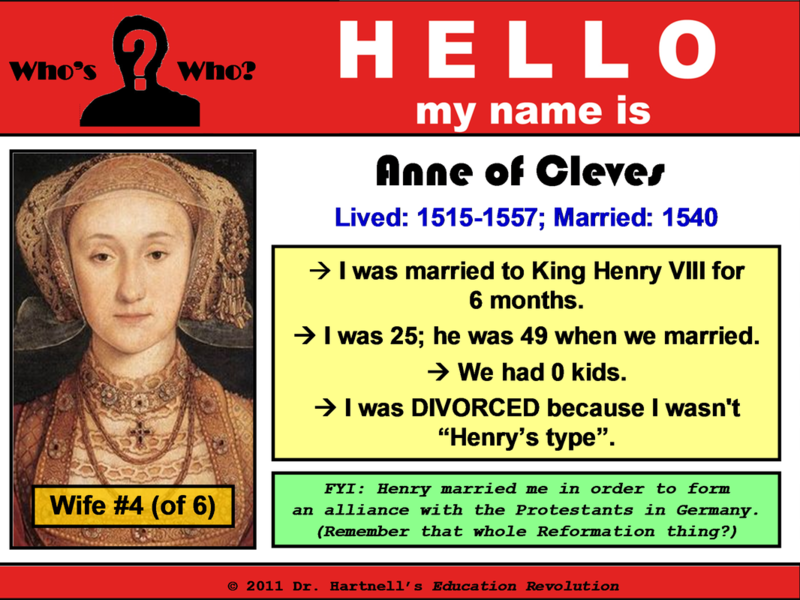 King Henry VIII ruled England from 1509-1547. He is often considered to be the ideal Renaissance monarch thanks to his fierce leadership and braggadocious ways. 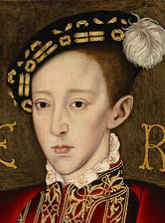 In Henry's mind, the greatest failure of his reign was his inability to produce a male heir. 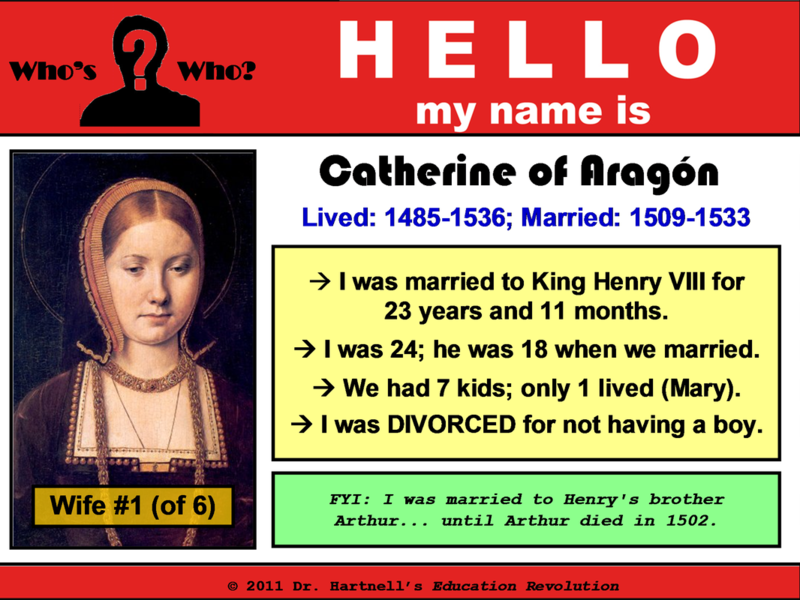 He blamed this on his Spanish wife, Catherine of Aragón (who was also the widow of his dead brother). 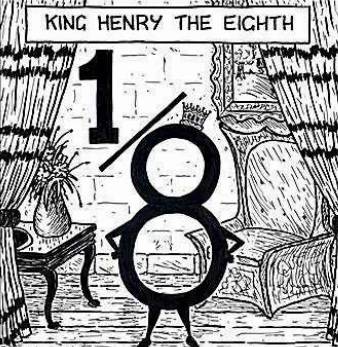 Henry died in a "less than king-like" fashion. 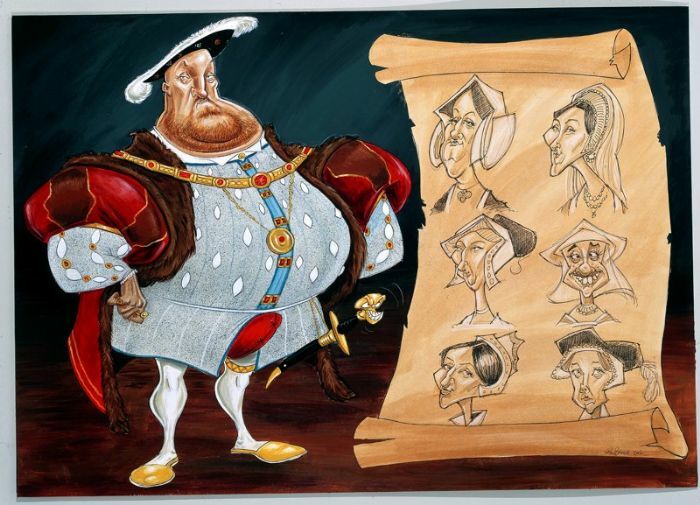 Toward the end of his regal life, Henry weighed 320 lbs. 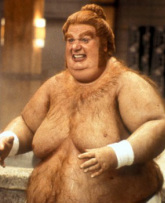 He was large and in charge. Of course, the blood in his legs had trouble getting to his heart and back, which resulted in a huge throbbing (and open wound) to develop on his thigh. Henry's "sore" was not to be discussed. In fact, he had spies go out into public and arrest anyone caught discussing it. (The punishment: ears cut off or burned at the stake.) After suffering a jousting accident (can you imagine the poor horse he was riding! ), Henry was confined to his bed, where his royal doctors attempted to drain the wound. It didn't work. He died on at age 55 from an infected leg and not enough blood getting to his lungs (a.k.a. pulmonary embolism). 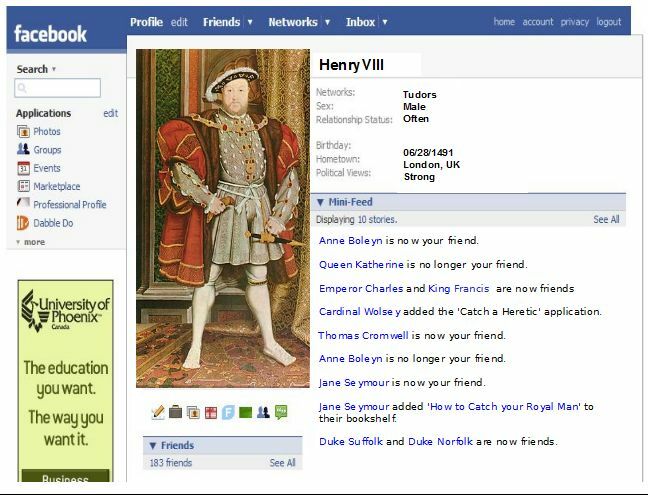 For two days, no one informed the public that Henry was dead. (In fact, his servants still delivered his meals to his chambers.) Eventually he was put in a lead coffin... that wasn't perfectly sealed. This caused his remains to build up enough toxicity that his corpse... exploded. 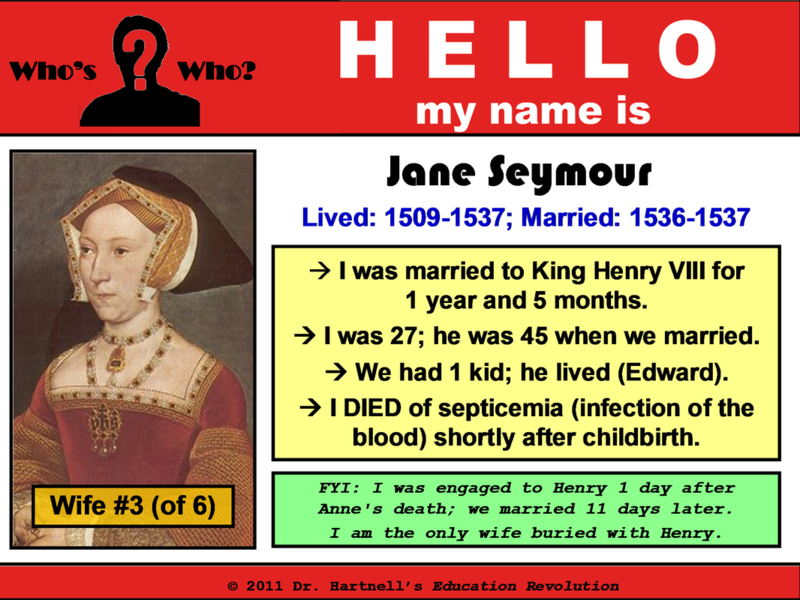 He was buried next to his third wife, Jane, who gave him his much-desired heir to the throne. clothing too, and a new trend was born... the Renaissance puffy shirt! Being so young, Edward was easily influenced by the Protestants that surrounded him. Because Mary was a devout Catholic, Edward removed her from the Line of Succession. 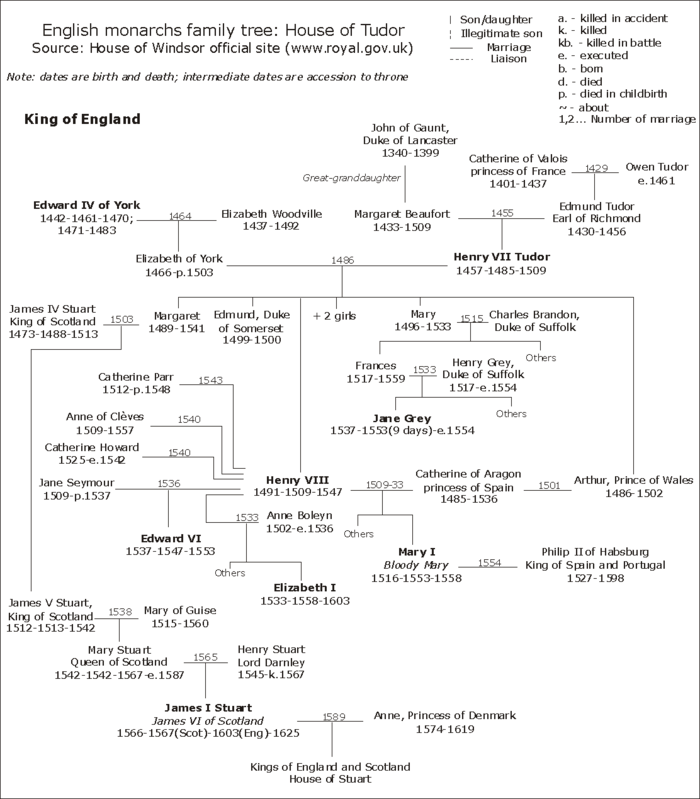 After his early death, the crown went to Lady Jane Gray (Edward's first cousin once removed - I know, I know, I can never follow that stuff, either). 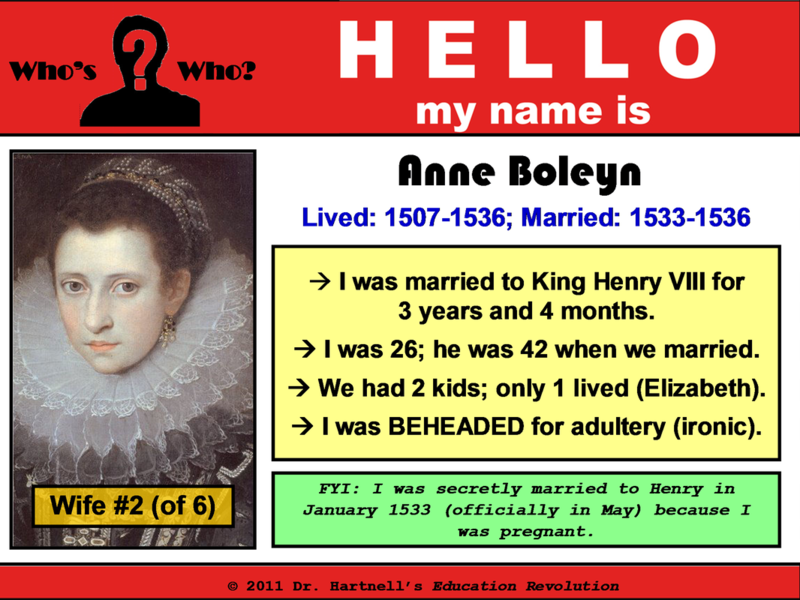 You better believe the 37-year-old Mary wasn't about to let this 16-year-old tart become queen... so she marched into London, had Lady Jane Gray arrested (after a reign of 9 days) and imprisoned in the Tower of London. Gray was later executed in 1554. 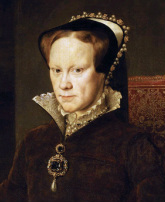 During Mary's 5-year reign, she had over 300 Protestants executed in an attempt to overturn the "damage" done by the Reformation. This certainly contributed to her nickname of "Bloody" Mary. 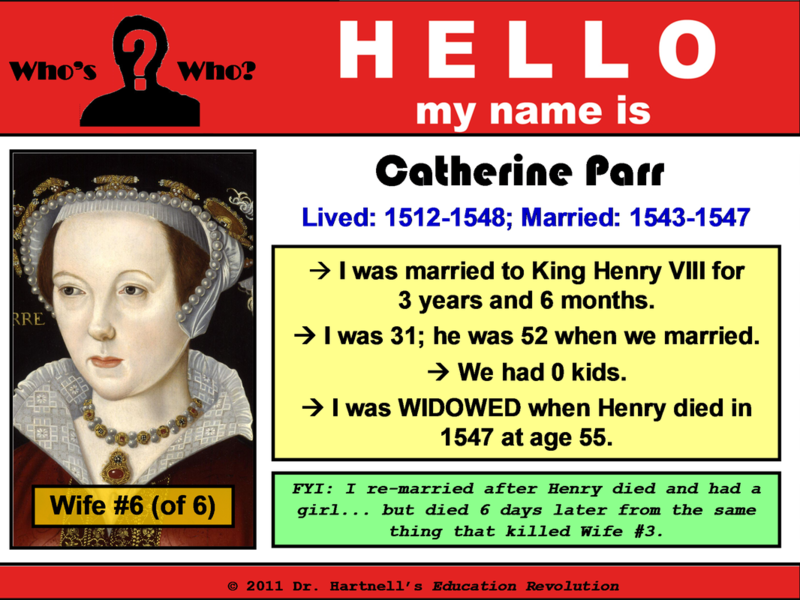 After many failed pregnancies, she died childless from uterine cancer in 1558. 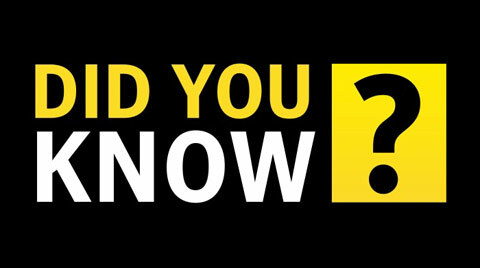 As a result, her 25-year-old half-sister Elizabeth became queen... and would rule England for 45 years. 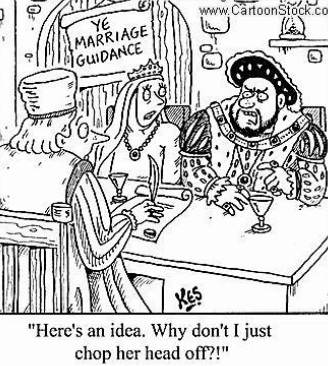 Whether by choice or by chance, Elizabeth also died childless... ending Henry's legacy and the Tudor Dynasty when the crown was passed to King James of Scotland. 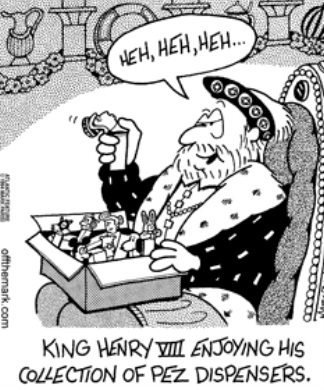 (Ironically, Henry specifically wrote in his Line of Succession that the crown should NEVER go to a Scot. He hated Scotland. 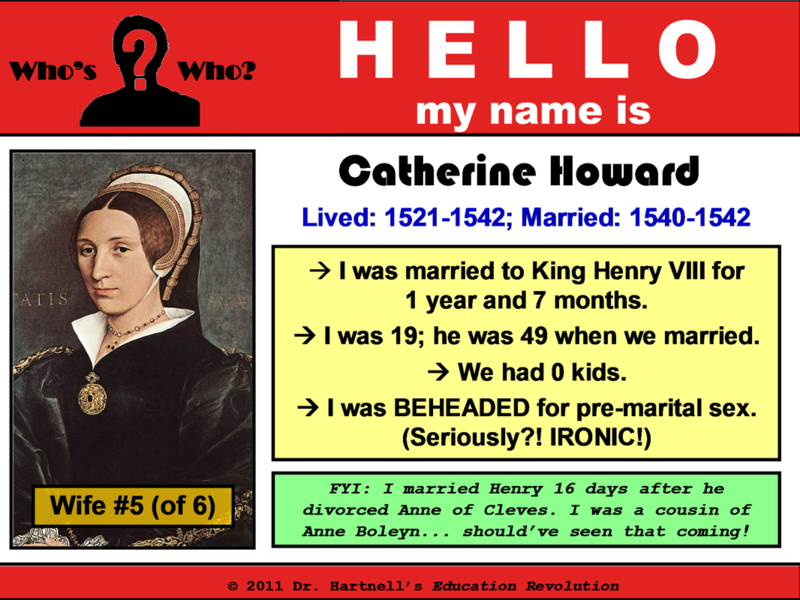 Understandibly, Elizabeth had "Daddy Issues" since her Mom was, you know, BEHEADED! 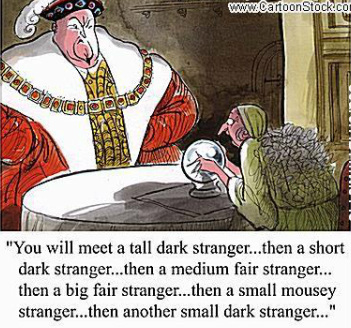 Essentially, she got the last laugh... and the Kingdoms of England and Scotland were united. from the bubonic plague which was prevalent in those days. no girl could be found who closely resembled the dead Elizabeth. So they opted for Plan B - and found a boy in the village instead. If the legend is to be believed, Master/Mistress Elizabeth must have been very convincing, as history tells us that Elizabeth went on to be a great queen, reigning for 45 years. 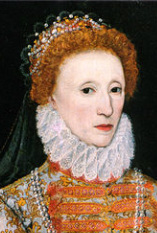 Conspiracies point to the fact that Queen Elizabeth I never married, which, was very unusual during that time; she was completely bald, covering her head with wigs; she had left explicit instructions that no post-mortem should be carried out on her body after her death; she wore lots of white powder to cover a five o'clock shadow; she wore giant ruffs around her neck to hide her Adam's apple; her remains were reburied, but no-one knows where, and no grave has ever been found. Spoooooky! Did you seriously try to click this banner? Hahahahaha! Loser.